Interested in studying abroad? The Study Abroad Office is hostings its 24th annual Study Abroad Fair on Thursday, Sept. 29, from 10 a.m. to 3 p.m., in the Holmes Student Center Duke Ellington Ballroom, where you can learn about all of the study abroad opportunities at NIU. Studying abroad has many positive impacts for students, not just from a personal perspective, but from an employment perspective too. Not only does it stand out to prospective employers, it can be leveraged in job interviews and is a completely life changing experience. 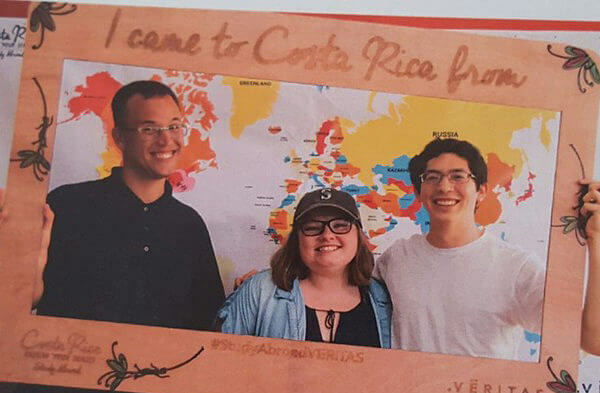 Victor, a senior communications major, studied abroad this summer in Costa Rica and describes the cultural experience of studying abroad and getting to know Costa Ricans so well. “Within two months, I was totally immersed in the culture of Costa Rica and Latin America. One part of the cultural immersion was through the relationships with the locals. I had the opportunity to build great relationships with many Costa Ricans. Through the many conversations I had, I was able to better understand the culture and world which they live in. The Study Abroad Fair is an excellent opportunity for students to learn about their international study options. From service learning, internships, independent research to traditional classroom study, the Study Abroad Fair has it all. With over 300 programs in 80 different countries, spanning anywhere from two weeks to an academic year, there are many program options to fit within any area of academic study. To read more about Victor’s and other NIU student experiences abroad, please visit huskiesabroad.blogspot.com. Check out NIU’s many study abroad opportunities at niu.edu/studyabroad.